Anna Carla Beltrão has a thirst for knowledge. 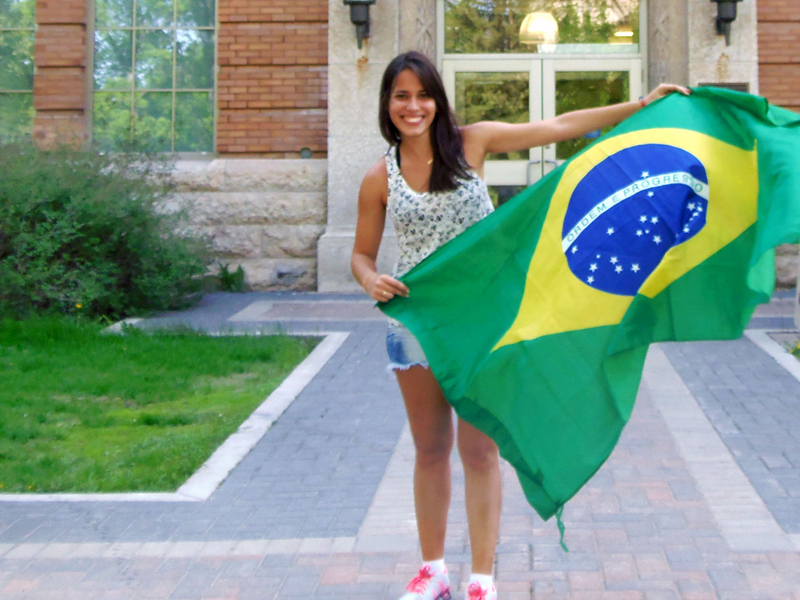 Throughout her studies in Production Engineering at Universidade Federal Fluminense, Anna has sought opportunities to build her skills through research placements and work terms in her home country of Brazil. But it was a chance to come to Canada for a Mitacs Globalink research internship that really grabbed her attention last summer. Her research with Professor Nariman Sepehri at the University of Manitoba is helping to develop computer models of hydraulic systems within aircraft engines and other heavy machinery. The overall goal of the research is to assist aircraft and machinery manufacturers to develop new designs for hydraulic systems that will optimize reliability, efficiency and performance over the course of their lifetimes, while potentially opening up new avenues for use of the technology. Anna Carla has found her stride in efficiency research this summer, saying: “I have to do something like this for grad school—it is the perfect area for me to build my career. I am really enjoying every aspect of it!” She has plans to apply for her Masters degree in Canada, having fallen in love with the culture, the landscape and the people of Canada.